Siyun Candice Ji’s Blog: Welcome! 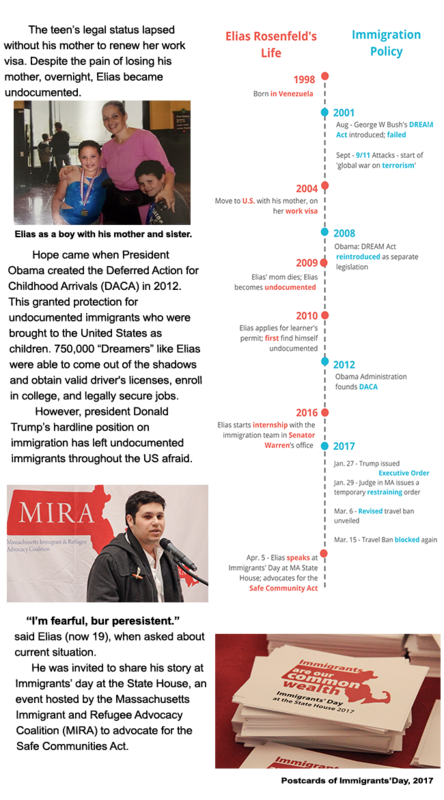 Found an organization called MIRA (Massachusetts Immigrant and Refugee Advocacy Coalition). I have talked to one of the program officer. She doesn’t think she is the best person to be interviewed, but she is willing to help me reach out to some of the AmeriCorps members, who are teaching ESOL/job skills to immigrants/refugees and/or assisting them with their applications for citizenship. They are placed at various immigrant- and refugee-serving organizations across Massachusetts, and they’ll have many more personal stories and experience to draw from in the work that they’re doing right now. Through them, I can ask for immigrant’s contact and interview immigrant who has received help from MIRA. I have also registered for their upcoming event called “Immigrant’s Day at the State House” on April 5. 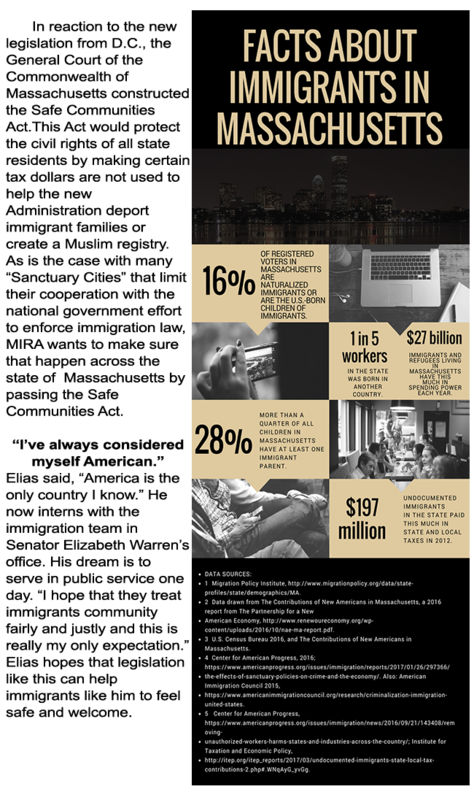 Their advocacy this year will focus on the Safe Communities Act, a bill to protect the civil liberties and safety of all Massachusetts residents. The event starts at 9am and there will be keynote speakers from 10-11am. After that, I can have a chance to meet the legislator: senator and representative. Lemberg is children’s center located in Waltham. Its goal is to guide children’s development of the essentials skills for healthy living. I have reached out to the executive director of Lemberg and talked to him about an hour. He wasn’t thinking about doing education initially, but after he attended U.S. army, he found that the way people in military talk to each other is different from his way of thinking. So, he started to work as an educator and has been working at Lemberg since 1979. I was introduced to one of the children’s classes and I also talked to one of the teacher, Katharine, who is willing to let me interview her. The next time I visit there, I will be looking for some experiment they are potentially working on and scenario if they have been working with disabled child and figure out a more specific story when I interview the teacher. After the Women’s March, the Women’s March organization launched another actions for the First 100 days campaign, called Next Up Huddles. I contacted them through email but haven’t received any response yet. I will go to their office in Boston this weekend and things I will be looking for are: what are the women behind the Boston Women’s March and what is their specific plans for the Huddle event. I have also reserved seat for the two upcoming events they hold in the area. 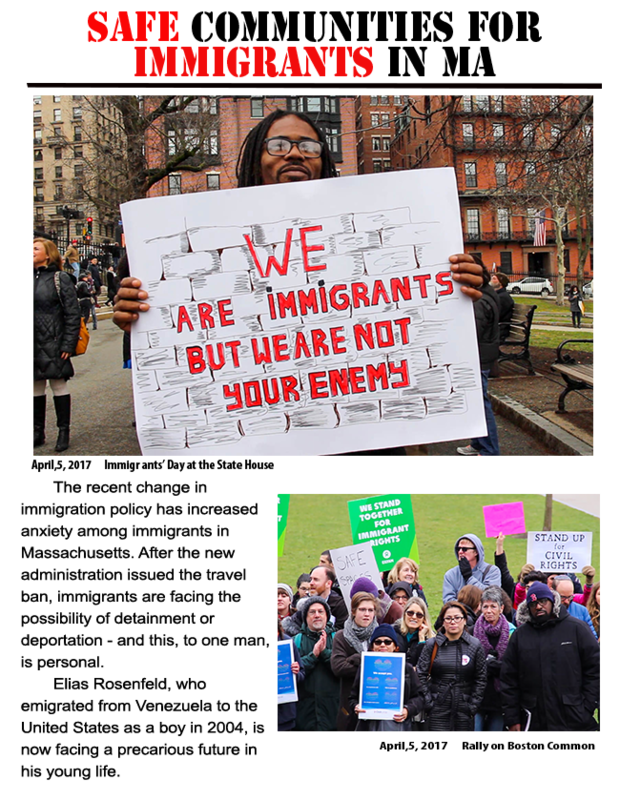 One called South End is Woke Huddle on March 30 and the other is Activism that Works workshop in Cambridge on March 26. I’m planning on going to both and I can interview the organizers of the event after them. According to the school newspaper, the Justice, workers there have to work for hours without taking a break. Huge lines are in both upper and lower Usdan dinning hall every day during lunchtime. Therefore, Brandeis Sodexo employees are protesting scheduling cuts and poor labor conditions. The union steward would be the best option for my interview. I will ask about his or her experience as a worker at Brandeis, his or her opinion about current problem and his or her solution. If possible, I would also want to interview someone with the management team to see how he or she wants to solve the problem. I will take pictures of the endless lines during prime lunchtime, the workers hurriedly working and maybe some over-the-shoulder shots of what they are working on. I think this is an important issue that relates to the daily life of Brandeis community and I would like to follow up on that. After President Trump released the ban on the entry of refugees and people from seven predominantly Muslim countries, I talked to several of my friends who are Muslims or refugees. Some of them went to the protest on Copley Square last Sunday and some feel that the ban is unfair and offended. One of them actually came to the U.S. as a refugee identity about ten years ago. Now she has genuinely feel sympathy for those who are banned from coming to the US in the following months. I would like to talk to her and ask about her experience when she first came to America, if her thoughts have changed over time, and her opinion on the ban. I will try to dig into her perspective as both a Muslim woman and a college student in the United States. If I continue perusing this story, I will take photos of her having a good time with her American friends and some pictures of her and her family, since they live in South Boston, which is not that far away. If possible, I will also ask if their family have any photo of their first arrival in the U.S. I become interested in journalism when I was watching a TV show called the Newsroom a couple of years ago. I have watched the entire show lots of times since then and being a news producer has become one of my dreams. I want to be a person that is useful to the society as a journalist, to let the people know the truth, lead them think about some of the societal issues around them and hopefully, make some phenomenon better. There are a few things in the recent news that have caught my eye. One of the most interesting ones is the “Alternative Facts”. As counselor to President Trump, Kellyanne Conway said on NBC’s “Meet the Press” on Sunday, the White House had put forth “alternative facts” to ones reported by the news media about the size of Mr. Trump’s inauguration crowd (New York Times). The wording she used, alternative facts, has raised doubts and concerns through all kinds of social media. NBC’s Chuck Todd pointed out, “alternative facts are not facts, they’re falsehoods!” It is essentially important that the president and his administrations should always tell truth to the public. We should not accept any forms of alternative facts but the pure truth. But on the other hand, I think instead of leading everyone’s attention to the crowd sizes, media should spend more of their coverage on release tax returns and President Trump’s nominees. We already had enough knowledge of this avoidable farce. Press agencies should really cover more on what really matters to the citizens of America. On the other hand, the Justice from Brandeis University reported crowds of Sodexo employees are protesting scheduling cuts and poor labor conditions. As a student at Brandeis, I have felt the same as is described in the news. During lunchtime, the lines in both upper and lower Usdan seem to be endless. Students spend much time waiting and workers seem exhausted after working for hours without break. The best way to solve the problem is, as most of the workers had pointed out, to hire more people. The Justice that has brought out this important issue that relates closely to the Brandeis Community. Campus administrations should take steps and solve the problem as soon as possible for dining services workers and for the entire student population. Author Siyun JiPosted on January 19, 2017 1 Comment on Hello world!